Okay, some of you are probably really freaked out that I just put “dessert” and “hummus” in the same sentence but stay with me! I swear this stuff is SO DELICIOUS. I cannot get enough of it and neither can my toddlers! 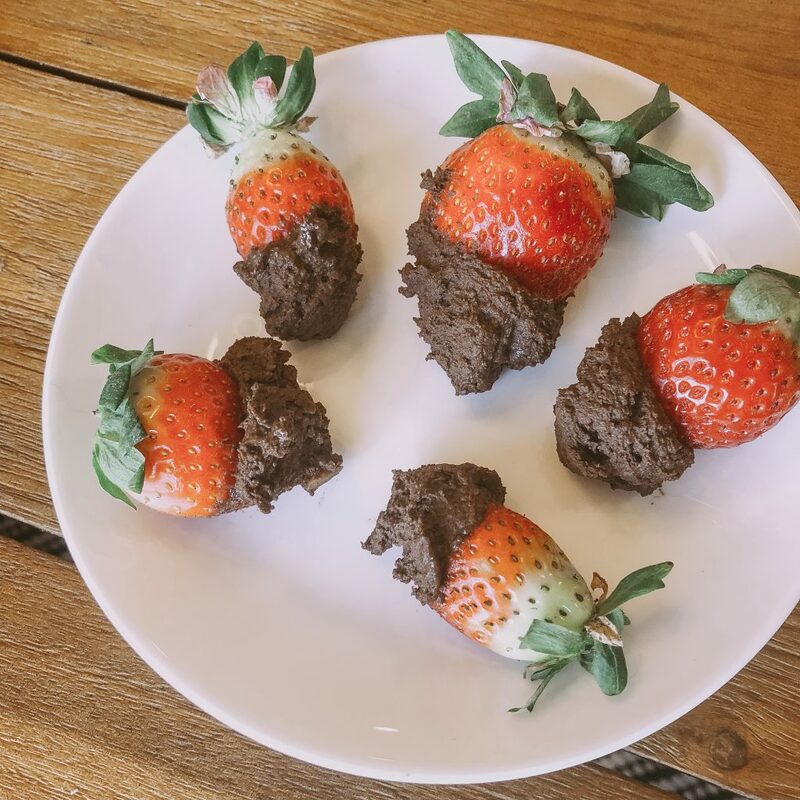 If you love chocolate, you will love this dip- it tastes nothing like chickpeas. Not only is this hummus super tasty but it’s also full of nutrients. Yes, it is sweetened but it’s also full of fiber which slows down the absorption of sugar in our bodies. It’s also got protein and fat which help keep us feeling satiated. So have it for dessert, a snack or as breakfast! It’s also a great option for school lunches! 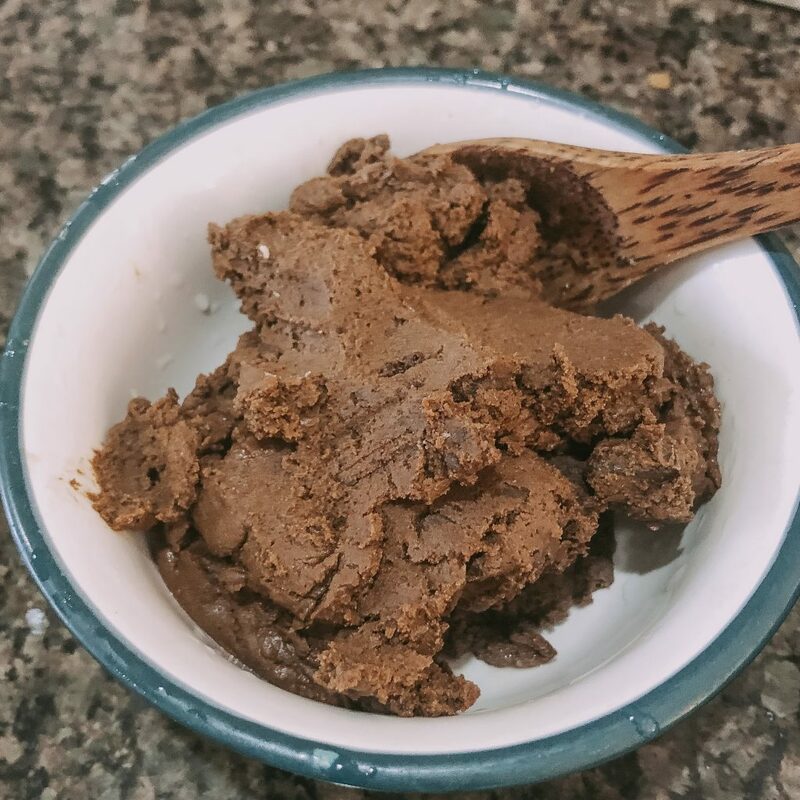 We actually made our own homemade chocolate chips for this recipe using coconut oil, cacao powder and maple syrup but any dark chocolate will do. If you want the kind that is more nutritious, look for at least 70% cocoa. 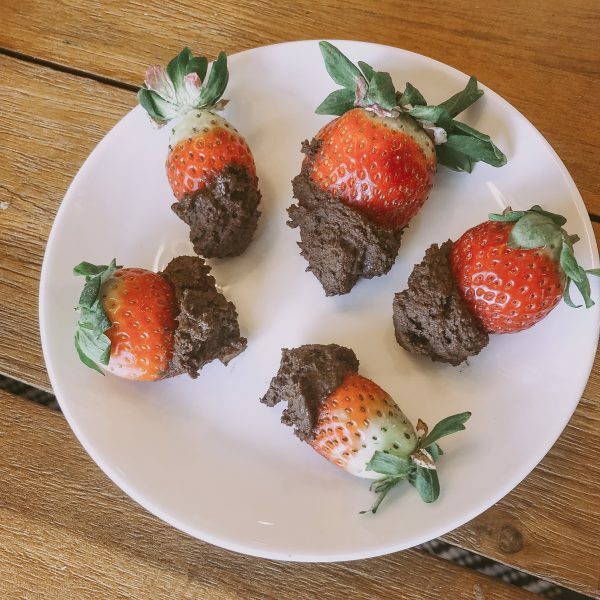 Enjoy Life makes some great allergen-free ones and Lilly’s makes some sweetened with Stevia! I also love Alter Eco bars which you could just chop up. Have fun with this recipe! Mint would be so yummy or you could add coconut on top! 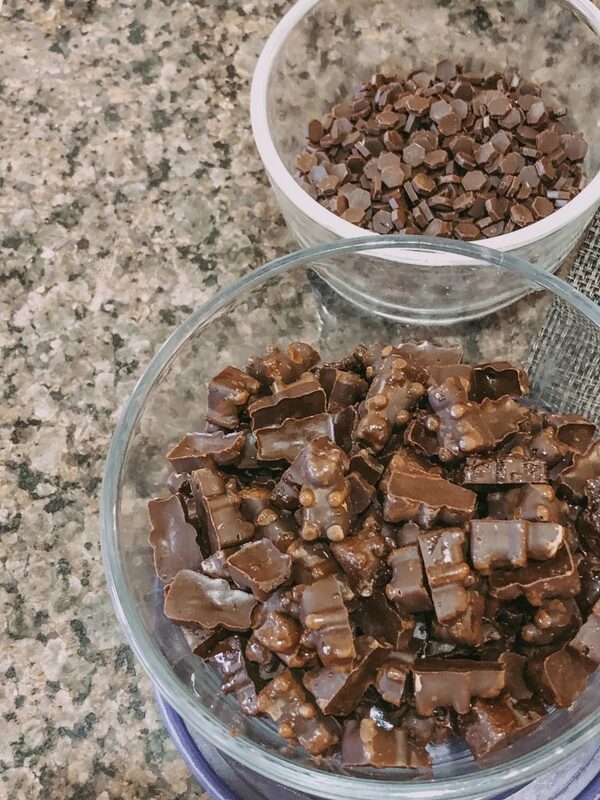 Instead of folding in some chocolate chips you could try walnuts! This stuff tastes delicious on toast (Nutella alternative? 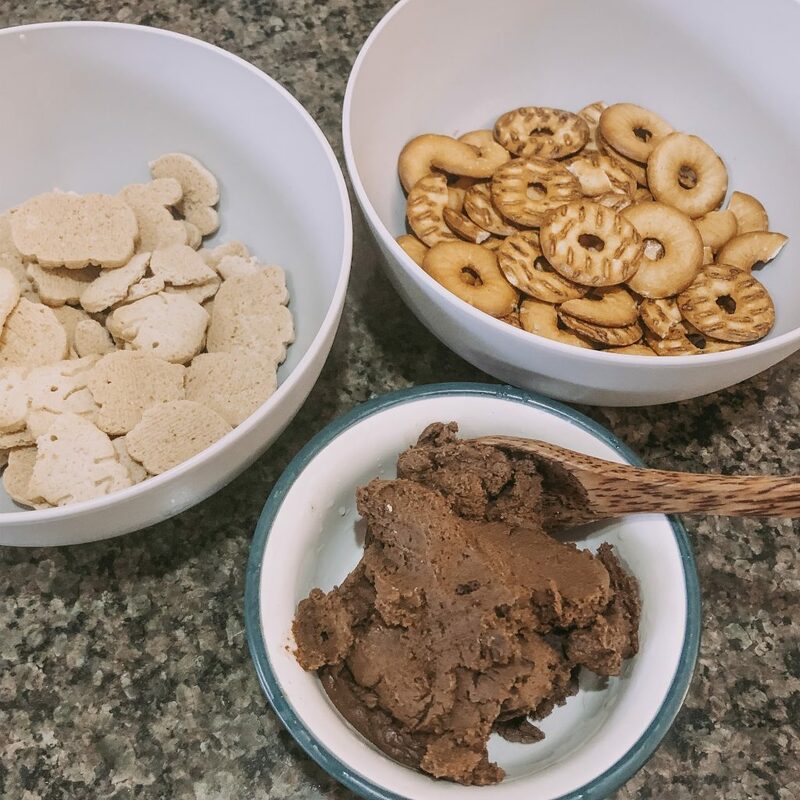 ), pancakes, waffles, fruit, animal crackers, pretzels (great if you get salty sweet cravings)… We even made sandwiches with some of this hummus, peanut butter and banana that were amazing! Combine all ingredients except for the chocolate chips and non dairy milk in a food processor and blend until smooth! If the mixture is too thick to blend, add the non dairy milk. 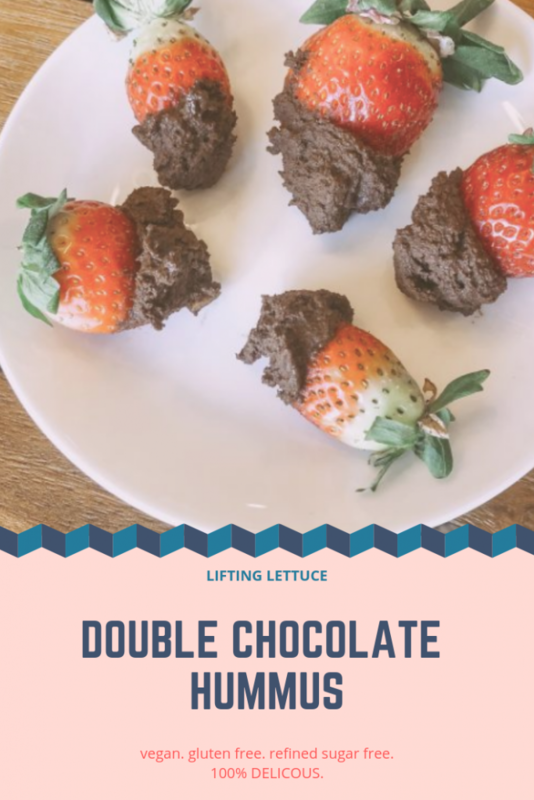 If you make these and post on social media, tag @liftinglettuce so I can see! If you love chocolate, check out my recipe for cookie brownie bars!